Birchbox, the monthly beauty subscription service, is extending the length of its London pop-up residency after a rise in sales. The company set up shop on Carnaby Street in November and initially planned to run until the end of January. It will now stay open until the end of March. Birchbox said that there were a "number of offline and online awareness campaigns" that coincided with the launch of the pop-up which helped to increase "overall performance and brand awareness". This included a promotion in collaboration with Conde Nast title Vogue for the November subscription box. Birchbox’s self-subscription sales rose 93% year on year over Black Friday. The company’s revenue from direct traffic to the website also increased 136% in November last year compared with the previous month. Birchbox put this down to the "increase in visibility and brand awareness" from its marketing investment. 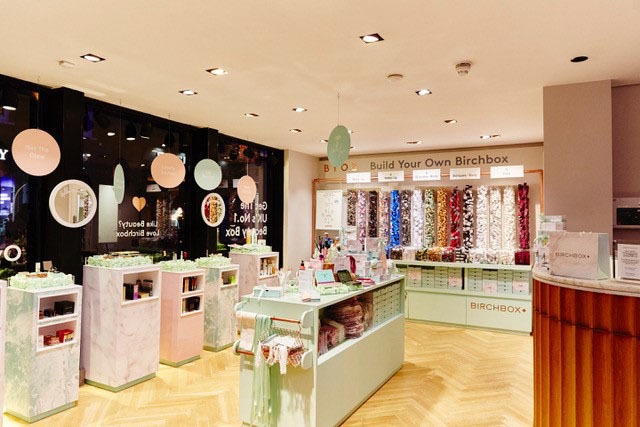 The London pop-up, which has been created by YourStudio, mirrors Birchbox’s stores in New York and Paris where customers can pick a selection of items to make up their own box. The subscription service sends people a selection of items every month. A spokesman told Campaign: "The pop-up was always meant to be temporary but will help us to explore future plans for our continued growth in the UK." Savannah Sachs, managing director of Birchbox UK, added: "As a company, we are constantly looking for ways to disrupt and innovate the traditional beauty retail market and our record growth last year shows that we are delivering what our customers want. "Our pop-up opening and great brand partnerships last year mean that our brand awareness is at an all-time high, and we’re excited to introduce even more customers to a new way of shopping for beauty this year."